What’s on the menu? 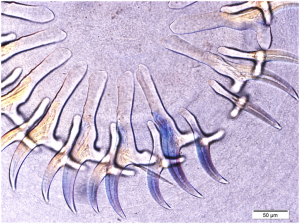 : Examining parasites to determine the diet of wolves. Wolves are the final hosts for many parasites that are transmitted through the food web. 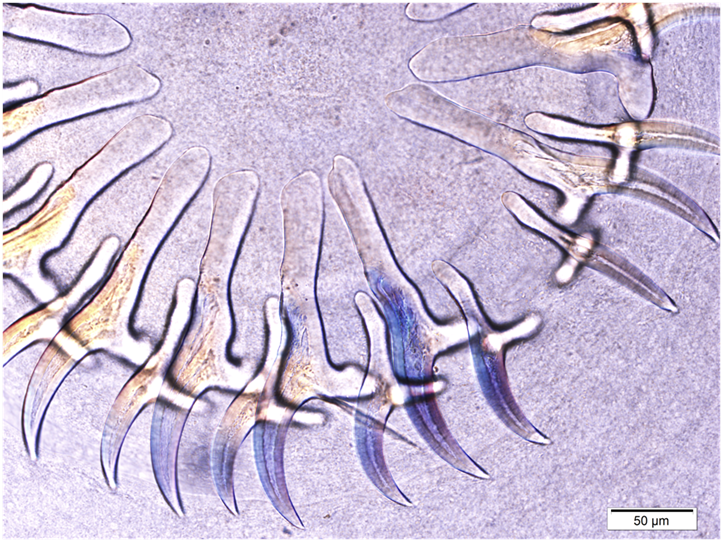 Thus, determining the diversity of parasites in wolves can provide insights into predator – prey relationships. Over the summer, Florence Chan, a summer student working with CCWHC Alberta, analyzed the gastrointestinal (GI) tracts of 52 wolves from the Sahtu Settlement Area, Northwest Territories, to assess the diversity and prevalence of these parasites across different habitats in the Sahtu. 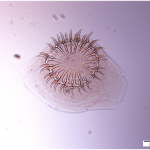 Four species of tapeworms and flukes that are transmitted through food web were detected: Echinococcus granulosus, Taenia hydatigena, Taenia krabbei and Alaria species. Taenia krabbei and Echinococcus granulosus were significantly more common in wolves from the moose-woodland caribou prey region compared to the barrenground caribou prey region. Echinococcus granulosus, Taenia hydatigena and Taenia krabbei require ungulate intermediate hosts, such as caribou or moose, to complete their life cycle, and Alaria species use amphibians like frogs or toads as intermediate hosts. Rodents and snakes that prey upon frogs or toads serve as transport (paratenic) hosts for Alaria species. 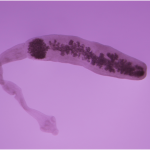 This parasite could be transmitted to wolves when they hunt frogs, rodents or snakes. Florence’s results differ from the single previous study on wolf GI parasites in the Northwest Territories (Choquette et al. 1973). She found no evidence of Diphyllobothrium species (fish are the intermediate hosts for this parasite), Taenia pisiformis, or Taenia serialis (hares and rabbits are the intermediate hosts). In contrast, she found a very high prevalence of Alaria species in Sahtu wolves compared to the previous study indicating that frogs, toads and possibly rodents were being consumed. 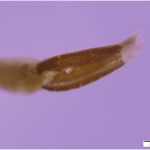 Many factors may have contributed to structuring the diversity of these parasites across the Sahtu region. Wolf ecology, habitat conditions, prey availability or seasonal changes will likely impact the diversity, prevalence and/or intensity of these parasites. 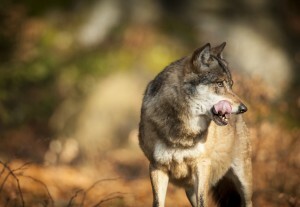 Florence’s research provided the first data on GI parasites of wolves in the Sahtu and new information on potential prey species of wolves across different ecological regions of the Sahtu. Florence won the runner-up prize for best oral presentation of this work at Summer Undergraduate Research Experience (SURE) Program competition at the UCVM. Previous story Who put the dead crow in the freezer?